The bounty is almost overwhelming. Farmers markets are at their peak. Farms, themselves, are bustling and in overdrive, harvesting and working. We played hooky yesterday and went to the orchards at Sauvie Island. Just a quick trip. 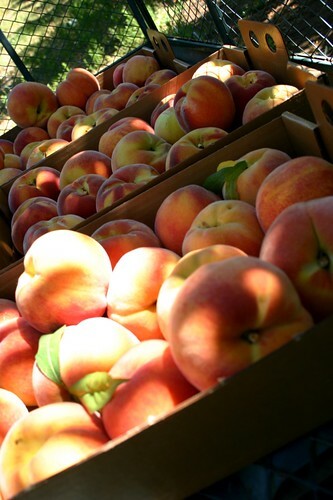 In less than hour we had 33 lbs of peaches in the back of the car. The car was filled with the scent of the peaches. Just like the orchard had been. Warm and sunny, the fruit was dropping with a thud to the ground. It's time to pick that type of peach. The orchard smelled sweet. Sweet with peaches. I'll end the story there. I won't tell you about peeling them and slicing them and cooking them and canning them and eventually going to bed at 1 AM. Because that would ruin the beauty of this simple post. It's lovely out there. 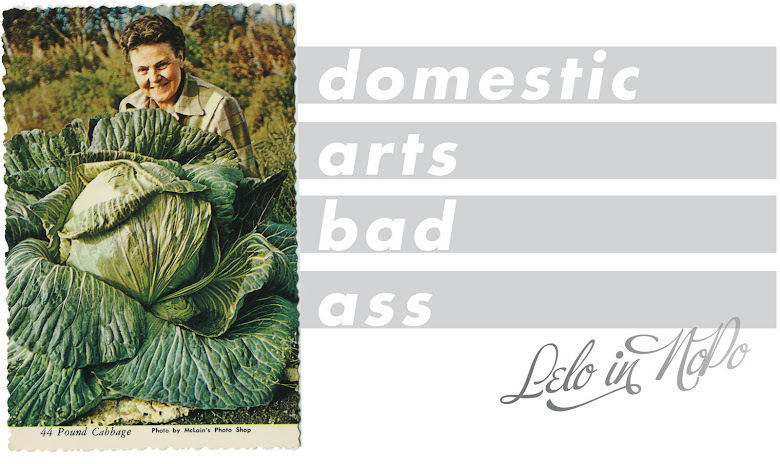 Go get yourself some produce and enjoy it. And say thank you to those farmers. They're the salt of the earth. Peaches and cream of wheat...Peach pancakes...tomorrow peaches and oatmeal. 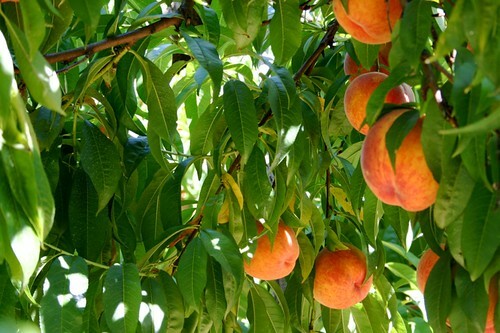 Love your pictures of the peach tree. So pretty. I haven't even been out to Sauvie this summer. Where are my priorities?